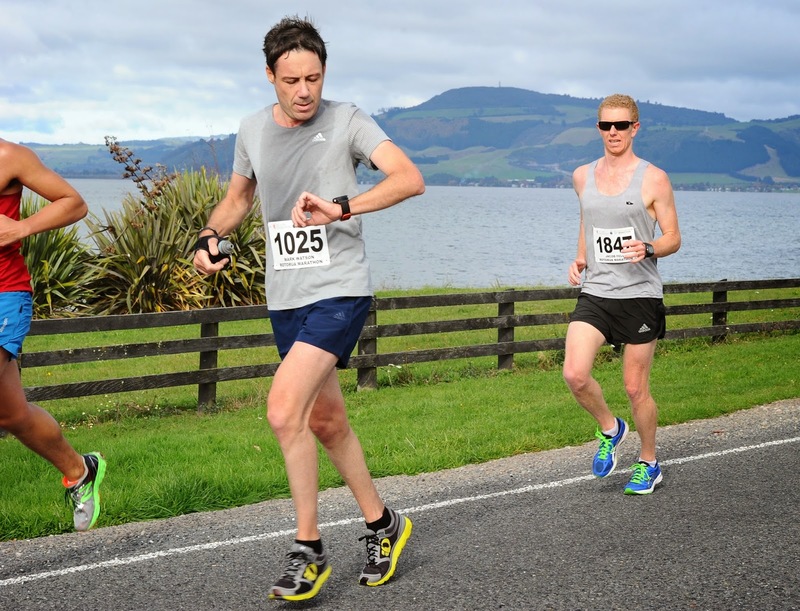 Colin Smyth completed his 50th consecutive Rotorua Marathon yesterday and it was also to be his last. At 76 years of age an unfortunate health issue has forced this champion into early retirement. He has a fastest time of 2.35.46 and slowest of 7.39.40. Earlier on in the week Colin was realistic about his chances saying he may take even longer than the year before. That didn’t matter though “I want that T-shirt with 50 on it real bad, even if they have to carry me over the finish line,” he said. Colin’s personal philosophy is “if it’s to be, it’s up to me” and with that said, he finished in a time of 11.04.49. Good on ya mate. Applying more pressure hurt but that’s good I thought to myself pressing down even harder on the foam roller. That sunken, depressed part of the bum cheek we males have is often tight and sore. It was the beginning of my last taper week and as usual I had muscular and skeletal issues to complain about. Of concern too was that feeling of a cold or worse, flu coming on. You’d appreciate then that for my immediate family ‘pain in the arse’ during taper week also has meaning. Like some kind of miracle (no miracle Dad, it was all in your head) I woke on race day fit as a fiddle. Sure I had virtually no sleep but that’s par for the course for me. Two pieces of toast with marmite, half a tin of creamed rice, a banana and cuppa tea later I was rearing to go. Rotorua is regarded as New Zealand's premier marathon. It circumnavigates our picturesque lake which on a nice day can literally take your breath away. Running for a PB however is tough. Sure, it’s a little lumpy with a couple of steep climbs at 20k and 26k but I think it has more to do with the road surface which I know sounds a little naff. Over half the course is made up of large chip seal rather than smooth tar-seal and it’s often broken up and uneven. To counter this, I planned to use the footpaths where possible, run hard early on and hold for as long as possible. Yes that’s right, everything you’re not supposed to do. At the half way point, and over that first major hill, my time was a respectable 1.37.30. More pleasing were the relatively even 5k splits through 25k (22.16, 22.42, 22.55, 22.57 and 22.26). Everything seemed to be going to plan. The grip I had on the three guys wearing balloons and 3.15 bibs started to loosen the more we climbed Rotorua's infamous second hill. ‘I don’t care, peace at last’ I thought to myself. 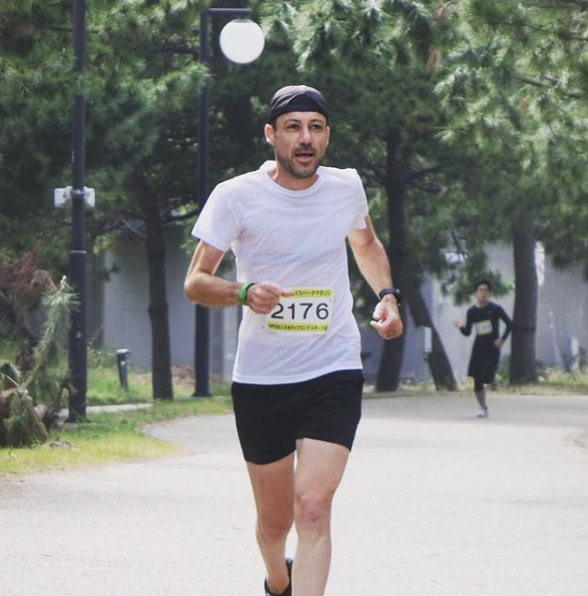 Their constant chattering and jovial nature seemed to only accentuate my own shortcomings as a runner and heighten the discomfort I was starting to feel. That said, running with them was a first for me and the highlight of my day. 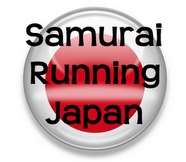 The next lot of 5k splits through 40k told the story of a runner starting to tire (24.09, 24.24 and 25.25). I cursed myself for giving up on all the core strengthening work I used to do. Running tall at that point felt like just a waste of energy and I slumped into whatever remotely felt comfortable and doable. It no doubt looked awful to anyone critiquing my form. Then again, who’d do that! A side stitch forced me to pull up 3 times in that final km. The last stop was right in front of my family in the home stretch. My wife screamed at me (as usual), which of course did nothing. Another scream from her drew sympathetic pleas from spectators to get a move on (probably to shut her up) to which I obliged and sprinted on crossing the finish line in a net time of 3.21.01. A 3 minute and 46 second improvement on a year ago is hard to get excited about. I feel that in some way I didn’t do justice to the training I’d put in. Or is it that I still have a way to go in training? 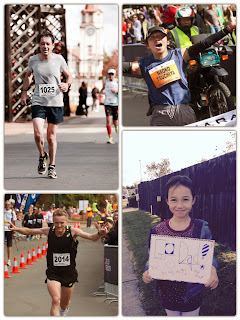 Yes, I still want my Boston Marathon experience more than anything, and now having met the qualifying standard a few times it begs the question … when? I know it sounds odd but for now I'm just not good enough ... yet. Great effort Mark. As long as it doesn't take you 50 marathons to become good enough! I reckon the weight of the sweaty shirt cost you a couple of minutes ;-) Lobby the council to reseal the road before next year - I know rough bitumen is a killer on the bike. Smooth is so much faster. Have a good recovery and get back to the drawing board. Very true ... point taken. Rexona still haven't called with an offer which is surprising. Am I in the too hard basket? Core work, speed work (strides) and more 100K weeks from here on. I want my sub 3.15. Don't beat yourself up - 3:21 is solid! You gotta put in serious work to be able to run that kind of time. Thanks mate. I kind of get the feeling that last 10k is all in my head. I'm a wuss and need to harden up damn it! Report made me laugh as usual. But the frustration came through. You definitely deserved better going in, your training has been great. It might have been a number of things that conspired to slow you up but that's the marathon. Confident that you'll get it right. My advice is 1) Don't panic and change what you've been doing training wise, 2) Get a set of dumbbells and work out at least 3 times a week, with what you've been doing and 3) Listen to Ewen and your wife. BTW That is a great photo of your daughter holding that sign. Cute as!! That's some great advice Scott. Thanks for taking the time to jot it down. Agreed, and so I'm going to continue with the 100k weeks, try to relax those stubborn shoulders some more, return to one session of speed work per week, pinch my wife's dumbbells and introduce nutrition on my long runs to mimic race intake (might have had something to do with that nasty side stitch I got). That should cover it eliminating the need to resort to your point 3) suggestion. Oh yes, and I need to find some grit too. Plain to see in your race pictures near the Boston finish. 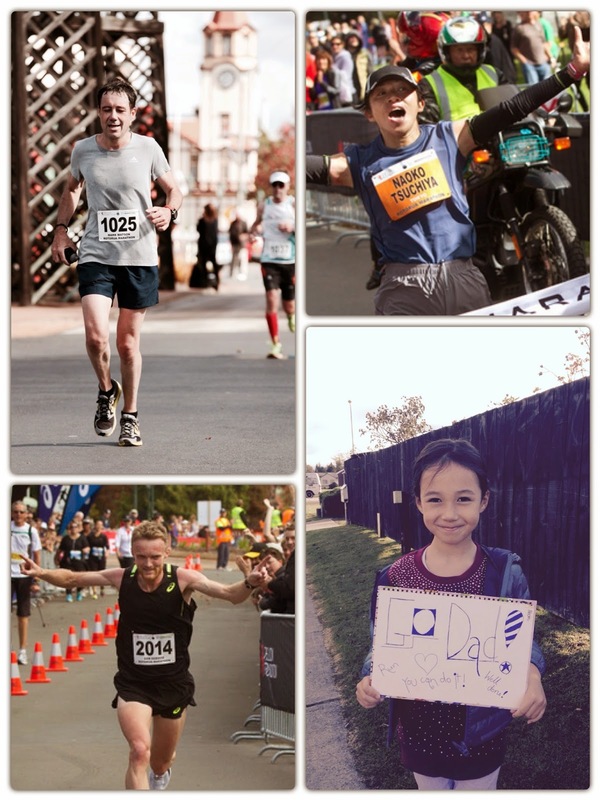 At your frantic pace, a 4 minute improvement is not to be scoffed at! I noticed the chip seal towards the end when my feet were getting sore. 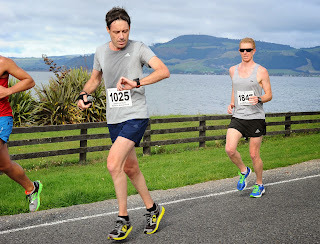 Rotorua sure put on a great day for running, and I really enjoyed the course. I'll be back next year to run faster! I'm about to head across to read your race report again. Super photo of you at the finish. You should be very happy at the execution of your race plan. Very very smart for your first marathon. Auckland in November?